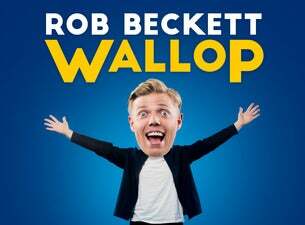 Rob Beckett is back on tour with the brand new stand-up show Wallop. It’s been a busy few years for the Mouth of the South. Not only is he the host of BBC One’s All Together Now and team captain on Channel 4’s 8 Out Of 10 Cats., but he's also been seen on Live at the Apollo, Would I Lie to You?, 8 Out Of 10 Cats Does Countdown, Mock The Week, Play to the Whistle, Celebrity Juice and A League of Their Own. And he is a host of Dave’s podcast, The Magic Sponge, alongside Jimmy Bullard and Ian Smith. Find tickets for Rob Beckett's Wallop across a variety of dates from 2 October to 14 December 2018.